A teenager is in a critical condition fighting for life in hospital after falling from a footbridge at one of the UK's biggest shopping centres. Detectives are "keeping an open mind" as to how the 15-year-old boy fell at the Trafford Centre in Manchester, a police spokesman says. Officers were called to the shopping centre at around 8.15pm on Saturday night. Police said the boy had fallen from a bridge near Debenhams and was in a critical condition after suffering serious injuries. Officers still had part of the shopping centre sealed off on Sunday morning after spending hours investigating at the scene, the Manchester Evening News reports. Police said enquiries are "ongoing" to establish exactly what happened. 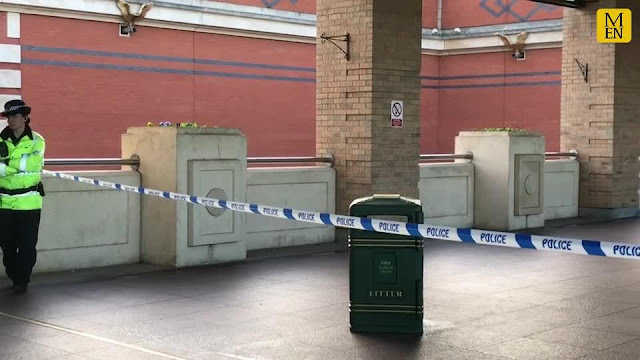 Greater Manchester Police said in a statement Saturday night: "Officers are currently at the Trafford Centre after a boy fell from a footbridge. "He suffered serious injuries and is currently in a critical condition." The Trafford Centre is normally open on a Saturday until 9pm. The upper walkway between Debenhams and the bus station remained cordoned off on Sunday morning. In a statement, a Trafford Centre spokesperson said: "Greater Manchester Police were called to the centre this evening in response to an incident in which sadly someone was injured. "We are doing all we can to support the police's investigation." 0 Response to "Teenager fighting for life in hospital after falling from footbridge near Debenhams at Trafford Centre"